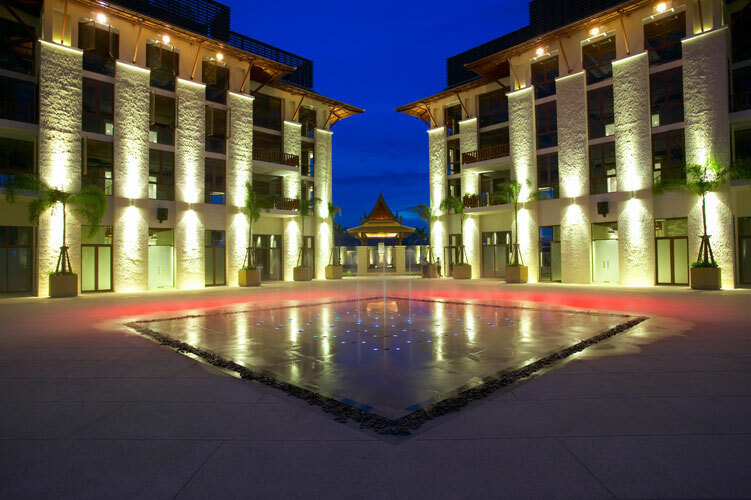 The Royal Phuket Marina (RPM), Thailand?s most exclusive luxury lifestyle yachting community, is strategically located on the centre of Phuket?s eastern seaboard which is the gateway to Thailand?s famous Phang Nga Bay and many island paradises. 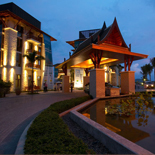 RPM comprises waterfront Royal Villas, Aquaminium, and Town Centre, including retail complex, 5 star hotel, and exhibition and conference center. An elite collection of 6 waterfront estates, 5 with their own private yacht berths, the Royal Villas are the most prestigious homes at Royal Phuket Marina. Inspired by the color of seascapes, the villas recreate tropical modernity with freshness and forward looking appeal. 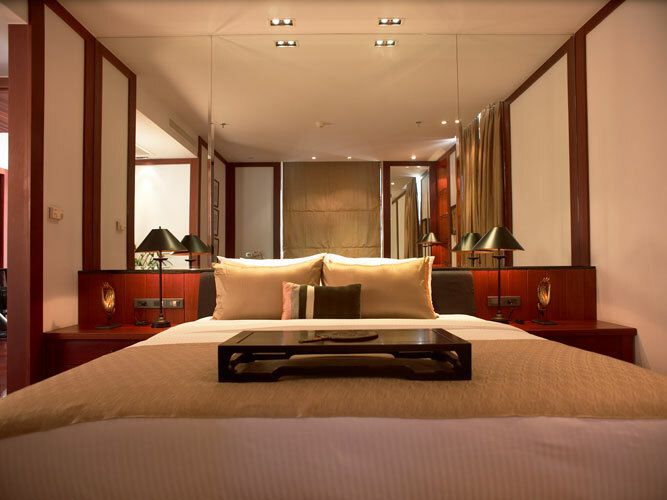 The villas are grand residences, full of space and light, opening up to sweeping panoramas of the marina. Outwardly, the distinct lines of classic Thai architecture position the structures seamlessly within their natural surroundings. Through function, design and status, these exclusive residences create a tropical marina lifestyle of consummate ease, freedom and luxury. Rising majestically from the marina waterfront, the Aquaminium is the world?s first condominium to feature private yacht berths within the residence itself. The vision of creating Phuket?s premier residential development rides squarely on the back of these inspiring water residences. The Aquaminium?s 3-block scheme fulfills the promise of unrivalled views over the marina, while creating an iconic new landmark on the Phuket waterfront. Each Aquaminium block comprises three building, housing 15 units of varying specifications. 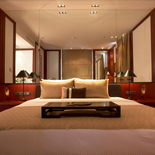 They share among them a sleek lobby, an open air infinity pool and a common, central berth. 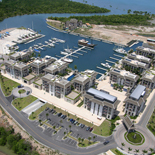 The Town Centre, the focal point of the community, enhances the marina lifestyle theme through a lively, social atmosphere. The 8,500 square meter retail complex, comprising four single level halls located around a 250-metre long and 8-metre wide boardwalk, accommodates outdoor dining, entertainment and a wide range of international restaurants, bars and caf? ? making this the place to meet, relax and survey the glamorous comings and goings of the marina. In addition, the 2,500 square meter ?RPM Convention Hall? paves the way for a new era of large-scale conferences and expos on the island. Three times larger than any existing exhibition facility on the island, it envisages hosting one or two high profile events every month. For convenience and ease of transport, the Horizons halls are connected by passage-ways and have direct access to the underground car park. The indoor and outdoor parking areas can cater for over 1000 cars per day with space allocated for hotel shuttles and tour buses. 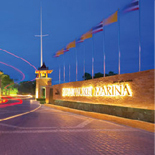 Merging the best of all these elements, the Royal Phuket Marina is the unique, luxury lifestyle development at one of the worlds most naturally inspiring destinations. 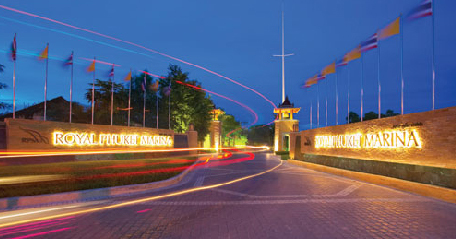 The Royal Phuket Marina (RPM), Thailand?s most exclusive luxury lifestyle yachting community, is strategically located on the centre of Phuket?s eastern seaboard which is the gateway to Thailand?s famous Phang Nga Bay and many island paradises. 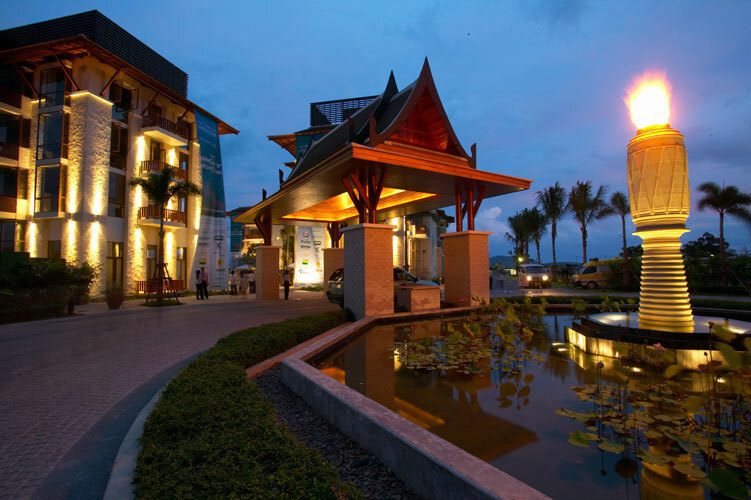 RPM comprises waterfront Royal Villas, Aquaminium, and Town Centre, including retail complex, 5 star hotel, and exhibition and conference center. 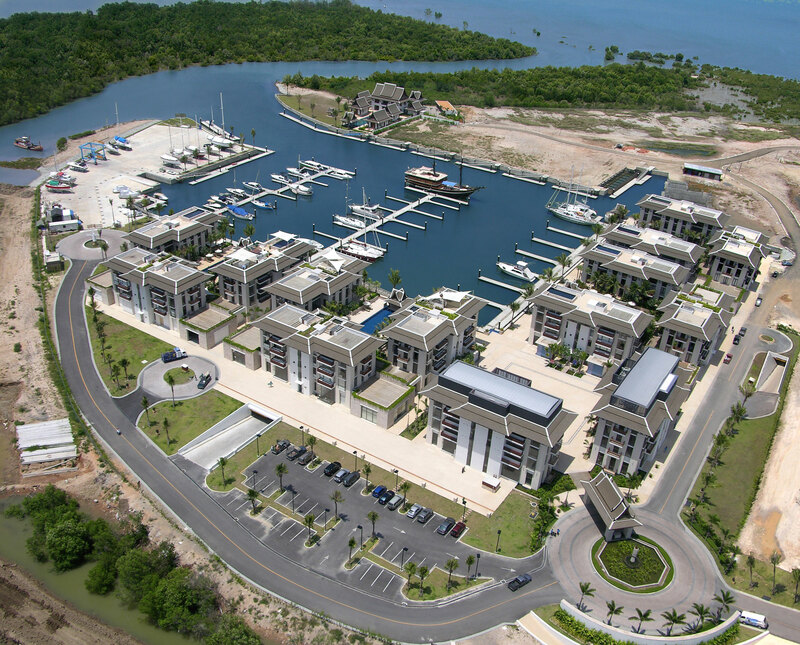 The Royal Villas, an elite collection of waterfront estates with their own private yacht berths, are grand residences, full of space and light, opening up to sweeping panoramas of the marina. The Aquaminium, the world?s first condominium to feature private yacht berths within the residence itself, comprises 3 blocks, each with three building housing 15 units of varying specifications. The town Centre, the focal point of the community, includes 8,500 sq.m. retail complex, 2,500 sq.m. exhibition and conference center, and 5-star hotel.